Hatcher, 33, joined the Cowboys as a third-round pick in the 2006 draft, and played in Dallas for the next eight seasons. Although he didn’t start a game until 2010, Hatcher was a solid rotational piece throughout the first few years of his career, and developed into an impact starter during his last few seasons in Dallas. Hatcher enjoyed his best season in 2013, when he recorded a career-high 11 sacks and forced a pair of fumbles. The Grambling State alum earned his first and only Pro Bowl nod for that performance, and parlayed it into a four-year, $27.5MM contract with the Cowboys’ division rivals in Washington. After earning about half of that contract, Hatcher was released by the team earlier this offseason to create cap room. While the Saints hosted Hatcher for a visit in March, and reports indicated that Washington had some interest in re-signing him at a reduced rate, the veteran defensive lineman will move on from the NFL instead, after 10 seasons in the league. For his career, he totaled 34.5 sacks in 147 regular season games (69 starts). Jason Cole of Bleacher Report (on Twitter) opines that Russell Okung needs to shoot for a short-term contract with a lot of incentives. The veteran tackle, who is representing himself, saw his field of suitors go from four to three on Tuesday when the Steelers signed Ryan Harris. Now, Okung’s market is likely down to the Seahawks, Lions, and Giants, and that could hurt his bottom line when all is said and done. Wide receiver Chris Givens visited the Jets today, a source tells Adam Schefter of ESPN.com (on Twitter). Givens, a fourth-round pick in 2012, had his best season as a rookie, compiling 42 catches for 698 yards and three touchdowns. In October, he was traded from the Rams to the Ravens. Free agent linebacker Sean Spence visited the Jaguars today, according to Albert Breer of NFL.com (on Twitter). The 2012 third-round pick spent the first four years of his career in Pittsburgh, with which he amassed 90 tackles and two sacks in 31 regular-season appearances (13 starts). Free agent defensive end Jason Hatcher is visiting the Saints tonight, sources tell Kristian Garic of WWL (on Twitter). Hatcher was slated to count against Washington’s cap for $8.7MM in 2016 before his release earlier this month. 3:05pm: Washington has officially issued a press release announcing that Griffin has been cut. The team also confirmed several other cuts reported today, including Jason Hatcher and Jeron Johnson. 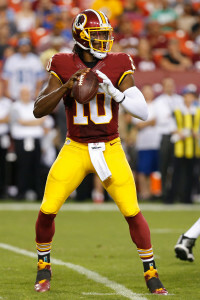 9:40am: Washington has released RG3, per Mike Jones of The Washington Post (on Twitter). A formal announcement from the team is presumably forthcoming. 9:36am: Washington will inform Robert Griffin III today of his release, sources tell Dianna Marie Russini of ESPN (on Twitter). Griffin’s salary was slated to become fully guaranteed on Wednesday. Washington was in no rush to release Griffin since his $16.155MM salary for 2016 was to remain non-guaranteed until the start of the league year. At one time, a trade thought to be somewhat possible, but Washington apparently couldn’t find a proper deal. In nine games in 2014, Griffin finished with 1,694 passing yards, four touchdowns and six interceptions. He added 176 yards on the ground. Last season, Griffin did not see the field as the team shifted its focus towards Kirk Cousins at quarterback. Griffin’s release has long been considered to be an inevitability. At least two teams have talked to Washington about a trade this winter, so we can expect the Baylor product to field calls this week. Recently, Ian Rapoport of NFL.com identified the Chiefs, Eagles, 49ers, Broncos, and Cowboys as possible suitors for Griffin. 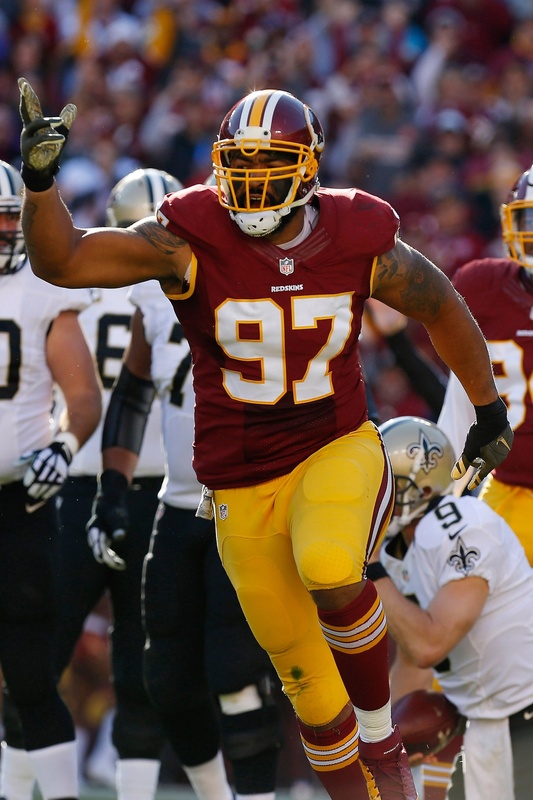 10:46am: Terrance Knighton will not be returning to Washington, either, it seems. “Thank you DMV for embracing me this year. Had a lot of fun on this years playoff run. The Pot Roast train has been told to move on!,” Knighton tweeted. Last offseason, Pot Roast was expected to net a sizable deal but wound up having to settle for a one-year, $4MM pact from Washington. The six-year veteran was an integral part of a Broncos team that had the league’s second-best run defense in 2014, and Pro Football Focus (subscription required) rated Knighton 12th among 81 qualifying D-tackles. This past season, he graded out as only the 58th best interior defender in the league, per PFF. 10:14am: Washington informed fullback Darrel Young that they are going in another direction and will not re-sign him, a source tells Mike Jones of The Washington Post (on Twitter). To date, Young has spent all six of his NFL seasons with Washington. 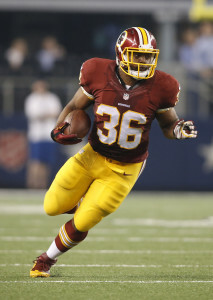 Young has established himself as one of the best lead blocking fullbacks in the NFL and is known to be a quality pass-catcher out of the backfield. Last season, however, Young saw his role in the offense decrease. When Jay Gruden first arrived in Washington in 2014, he was insistent that he would utilize Young’s abilities even though he historically has not used fullbacks in his offenses. “I didn’t have Darrel Young in Cincinnati. If I had him, I would have used him,” Gruden said. Washington has also cut defensive end Jason Hatcher, a source tells Jones (on Twitter). As Master Tesfatsion of The Washington Post notes (on Twitter), Hatcher penned a farewell message to the organization on Instagram. In the message, Hatcher intimated that he will not be retiring and will seek out another NFL opportunity. Hatcher was slated to count against the cap for $8.7MM in 2016, so his release will give the team some significant breathing room this spring. Washington executives Scot McCloughan and Bruce Allen aren’t scheduled to speak to the media in formal press conferences this week at the scouting combine in Indianapolis, but head coach Jay Gruden did so today, touching on a handful of topics surrounding the team. Most notably, Gruden expressed confidence that Washington will work something out with quarterback Kirk Cousins, suggesting that the two sides continue to talk in the hopes of hammering out an agreement (Twitter link via Mike Jones of the Washington Post). Cousins isn’t the only quarterback that Gruden is bullish about bringing back. According to Jones (via Twitter), the head coach also wants to re-sign Colt McCoy. However, it sounds as if linebacker Keenan Robinson will depart via free agency. John Keim of ESPN.com adds that Gruden spoke to defensive lineman Jason Hatcher recently and thinks that Hatcher is leaning toward playing in 2016, rather than retiring. Cowboys executive VP Stephen Jones spoke about his team’s approach to free agency, suggesting that the Cowboys don’t want to “pay a good player like he’s a great player” if they can avoid it. Todd Archer of ESPNDallas.com has the details and the quotes from Jones. Giants head coach Ben McAdoo said today that he “absolutely” expects Victor Cruz to return to the club next season, tweets Ralph Vacchiano of the New York Daily News. Cruz, who has a $9.9MM cap hit, recently estimated that he has an 80% chance of being retained by the Giants. Paul Schwartz of the New York Post tweets that McAdoo’s comments today made it sound as if he really wants the Giants to re-sign Jason Pierre-Paul. McAdoo also confirmed today that “there was a potential for a second interview” for the Eagles‘ head coaching job before he was promoted by the Giants. As Jeff McLane of the Philadelphia Inquirer tweets, McAdoo said he wasn’t formally offered the Eagles’ job. Here is the latest coming out of the Eastern divisions as the eight remaining teams begin full preparations for their divisional-round matchups. After Washington‘s wild-card loss to the Packers, Jason Hatcher will consider retirement, Mike Jones of the Washington Post tweets. The 33-year-old defensive end had a postgame conversation with GM Scot McCloughan, and Rich Tandler of CSNMidAtlantic.com notes Washington may have to convince him to return next season. “I’ve been thinking lately about this being my last year, you know, retiring,” Hatcher told media. “One thing I’ve got to pray about. [McCloughan] said he wanted me around. I’m not going to hold them up on my decision. I’m going to make it pretty quick.” Hatcher just completed the second season of a four-year, $27.5MM contract. He’s set to occupy an $8.73MM cap number in 2016. Now a free agent, Alfred Morris was noncommittal about a Washington return, John Keim of ESPN.com reports (on Twitter). “When I first came into the league, no matter what team I went to … I just wanted to do my whole career with the same team. That’s still my goal. I would love to return, but a lot goes into that. I haven’t thought about that,” Morris told media. Coming off by far his worst season as a pro, Morris enters free agency in a class with Matt Forte, Lamar Miller, Chris Ivory and probably Marshawn Lynch. A former sixth-round draft pick, Morris averaged a career-low 3.7 yards per carry and would likely not command a high salary despite being set for his age-27 season come training camp. Ryan Mathews recently underwent groin surgery, according to ESPN.com’s Adam Caplan (on Twitter). First listed with the malady on the Eagles‘ injury report in Week 6, Mathews played 13 games this season. He finished with a career-best 5.0 yards per carry, although the 107 totes represented Mathews’ lowest number in a season in which he played at least 12 games. The Eagles’ new coaching search resembles safer, Andy Reid-type candidates than Chip Kelly-esque innovators, Les Bowen of Philly.com writes. Adam Gase did not receive an offer from the Eagles, and Doug Pederson, someone who Bowen doesn’t think would have captured the Eagles’ attention in 2013, entered the process as Jeffery Lurie‘s favorite among non-head coaches. Pederson reportedly interviewed with the Eagles for 4 1/2 hours from Kansas City. Cleared to play in the Patriots‘ sixth straight divisional playoff game, Julian Edelman will do so with a steel plate in his left shoe in an attempt to prevent re-fracturing his foot, WHDH’s Joe Amorosino reports (via WEEI.com). Edelman missed the Pats’ final seven regular-season games after breaking a bone in his foot Nov. 15. Gase’s innovative offensive methods notwithstanding, sources tell SI.com’s Don Banks the 37-year-old coach’s intellectual approach may struggle from a leadership perspective, considering the kind of year the Dolphins just had and the fact that the mild-mannered Joe Philbin didn’t exactly win over the team. With defensive lineman Jason Hatcher doubtful to play in Washington’s regular season finale tomorrow, the team has placed him on injured reserve, ending his season, per Zac Boyer of the Washington Times (via Twitter). The move allows the club to pick up defensive tackle Travian Robertson off waivers from the Seahawks, as was reported earlier this afternoon. Hatcher, 32, signed a four-year, $27MM contract with Washington in the offseason that caused some eyebrow-raising around the league. Hatcher did play well when he was healthy this season, recording 5.5 sacks and a +17.1 grade according to Pro Football Focus’ metrics (subscription required). However, he has battled a knee injury in recent weeks that will result in his season ending prematurely. After counting for $3.75MM against the cap in 2014, Hatcher’s cap hit will increase to $5.25MM next year, which is a reasonable price to pay for Washington. The team may have a decision to make in 2016, when Hatcher’s cap number jumps to $8.75MM. Antrel Rolle is playing in a contract year for the Giants, and while he wants to stay with the team, he knows that anything can happen in an NFL offseason, writes Bob Glauber of Newsday.com. The 32-year-old safety has been a stalwart of the Giants’ defense since coming over from Arizona in 2010. Eagles‘ first-round pick Marcus Smith has struggled to see the field as a rookie, but the team worries if he will ever develop into the player they had hoped when they drafted him, writes Jeff McLane of the Philadelphia Inquirer. Smith has been compared to Danny Watkins, another failed first-round selection. Cowboys‘ head coach Jason Garrett has been thought of as a puppet for Jerry Jones, but Jean-Jacques Taylor of ESPNDallas.com thinks Garrett has wielded more power within the organization recently. He cites the team drafting Zack Martin, letting DeMarcus Ware and Jason Hatcher leave in free agency, and holding off on extensions for Dez Bryant and DeMarco Murray as all uncharacteristic moves for Jones, likely influenced by Garrett. Martin has been excellent as a rookie, validating the Cowboys‘ decision not to draft Johnny Manziel. However, if the Browns decide to sign Hoyer to a long-term contract, Manziel could still be a fit for the Cowboys, writes Steven Mullenax of The LandryHat.com. With the struggles of Brandon Weeden and Tony Romo‘s injury issues, Manziel could be a good backup and eventual replacement in Dallas. Given the choice between Adrian Peterson, Marshawn Lynch, or Murray this offseason, Jon Machota of DallasNews.com believes the Cowboys should place Peterson at the top of their wish list. He believes that signing Peterson behind this offensive line would be more dangerous even than the younger DeMarco Murray. Washington defensive lineman Barry Cofield eased his way back into action last week against the Buccaneers, after returning from injury. Cofield should see his snaps increase starting this week, reports Tom Schad of the Washington Times. Washington defensive coordinator Jim Haslett has been in charge of an erratic defense during his tenure with the team, but despite scheme changes and coaching changes, he has survived, writes Mike Jones of the Washington Post. Jones paints the major problem in the consistency of the defense as a lack of talent on that side of the ball. As the controversy with the Washington team name carries on, one devoted fan has decided to take a stand against the name, writes John Woodrow Cox of the Washington Post. He found a company to make strips of cloth that say “Washington” in which fans can use to patch over their old team apparel. Daniel Brown of the San Jose Mercury News points to the name change for the University of Stanford as a precedent for the change, and the New Yorker has used their cover to mock the name in anticipation of Thanksgiving, according to Sports Illustrated.